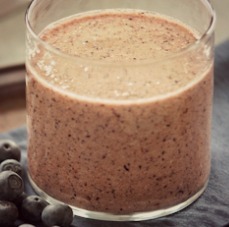 A fresh and filling breakfast shake reminiscent in flavor of a blueberry muffin! Oats and omega-3 essential fatty acids from flax oil help you power through a busy morning. Purée all ingredients in a blender and serve immediately.